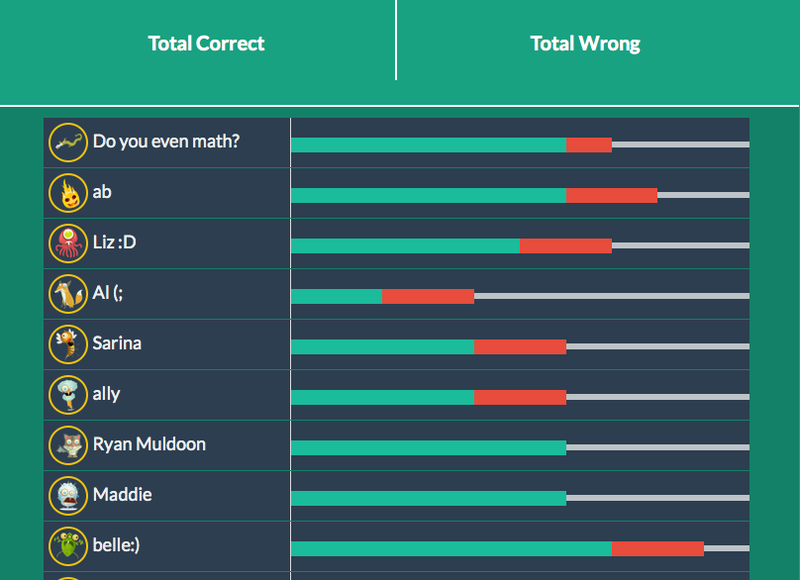 If you like Kahoot or if you don't like Kahoot, you should try Quizizz. It is a newer site so there are less public ones to borrow, but I found two for simplifying radical expressions. I didn't know how it was going to go, but you have to take a risk and it went great! The kids really liked it. I duplicated the quiz. The kids sign on. I gave them the class code. They sign in with a name and it assigns them a random avatar and they liked that part. Once everyone was in, I started the game. They each worked on their computer answering multiple choice answers. There is nice music you can play and a nice sparkle sound if they get it right. As a teacher, you can choose to add the memes and it will show them a meme after each question if they got it right or wrong. 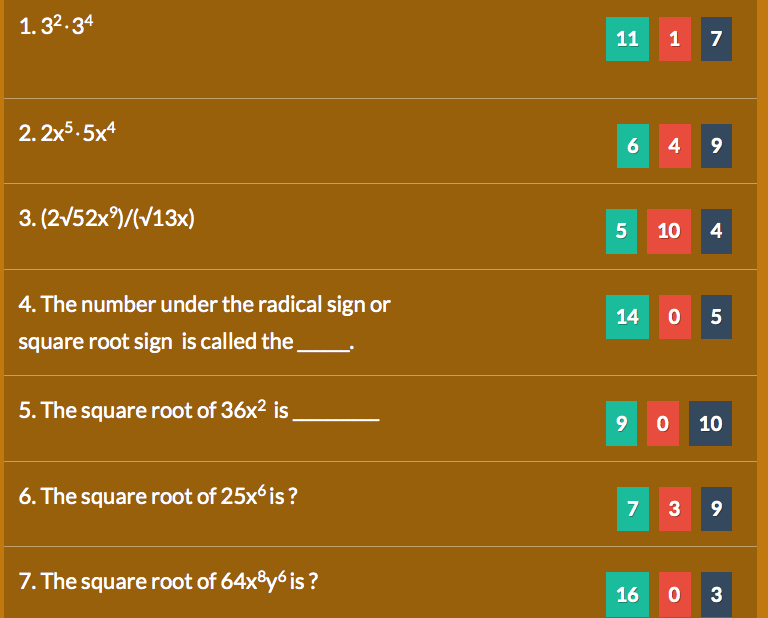 At the top of the student page, there is a rank bar with pictures of the different avatars so they can see how they are ranking on each question. The kids are answering the same questions presented in different orders. The multiple choice a, b, c, and d choices might even be mixed up. I really liked the teacher dashboard. 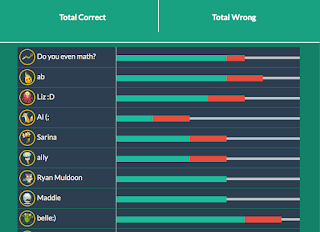 I could see a bar with each students progress with green for correct and a red part if incorrect. 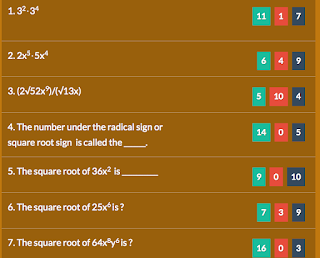 I can see each question with the number correct and the number incorrect. The game ends when all are done. It gives their rank and accuracy. It is a little like golf because if you finish early and think you are rank 1st, someone else might pull ahead.